U.S. Cellular is one of the largest wireless carriers in America. It offers innovative technologies and a vast national network to its customers. This allows them to stay connected wherever they go. Their plans are available for individuals and businesses. In 1968, the Telephone and Data Systems Inc. (TDS) was founded by LeRoy Carlson. The United States Cellular Corporation (USSC) was then established as a subsidiary in 1983. 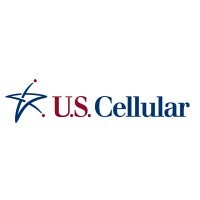 In 1999, USSC was renamed to U.S. Cellular. Today, the company has more than 5,400 associates. The serve markets in 23 states of America. The headquarters of the company is located in Chicago, Illinois. The company’s employees enjoy a number of perks including: medical and dental insurance, short and long-term disability, Flexible Spending Account (FSA), confidential assistance, and life insurance. It also offers a 401 (k) savings plan and a pension plan. People like working in the company not only because of the perks. They also look forward to the opportunity to learn and grow professionally. They get to earn a decent income and benefit from on-the-job experiences and interaction. How old do you have to be to work at U.S. Cellular? The company accepts applicants ages 18 years old and above. Applicants who have at least completed high school or its equivalent are more preferable. Administrative Coordinator III: This person manages all administrative-related activities including scheduling, information dissemination, and procurement of materials. He coordinates meetings and communicates within and across departments. He could also be required to document events and meetings. He may also be asked to prepare reports and present them to higher management. Agent Dist Sales: This person is responsible for providing support to the Agent Sales Manager and the Development Sales Manager with regards to the daily operations of the store. He must also implement new and on-going USCC supported agent programs. He must ensure proper and complete documentation of key measures for proper evaluation of the programs. Bilingual Financial Services Inbound Customer Service: The primary task of this person is to collect from delinquent customer accounts. He must be able to handle common financial concerns involving bills and payments. As necessary, he shall prepare and send out collection letters to demand payment. He is also the one who contacts customers whose check payments are not sufficiently funded. Cashier Greeters: This person does not simply stand behind cash registers and payment counters. At US Cellular retail stores, cashier greeters welcome customers. They should be able to point the customers to where they can get what they need. They should be able to answer questions and make the customers feel that they have come to the right place. Customer Care Representative: The Customer Care Representative is in charge of receiving inbound calls from the customers. He must be able to help customers with: troubleshooting basic technical problems, understanding billing concerns, and questions regarding merchandises. He must have good communication skills and be knowledgeable about the products and services of the company. Customer Service Financial Services Representative Collections Inbound: This person helps the customers understand and meet their financial responsibilities with the company. He must be able to compel, in a firm but customer-friendly manner, to follow through with their financial obligations. He must have good communication and customer service skills so customers can trust and respect him. Retail Wireless Sales Consultant: This employee connects with the customers and finds out what they need. He then recommends the appropriate products and services. He has to explain the pros and cons of his recommendations to help the customers decide. He should be able to provide the best solutions to the customers’ needs and, as a result, push product sales. Staff Accountant II-Operational Accounting: This employee is tasked with analyzing financial records and reports. He must make recommendations pertaining to the accounting of reserves, assets, and expenditures. Also, he must give a thorough review of the journal entries and verify their accuracy. Attending meetings and making presentations is part of the job description as well. Telesales Wireless Consultant: This is a sales position that is not store-based. Phone sales and customer service skills are therefore a must for this position. The consultant should be able to follow the company’s established call sales processes and policies. In his outbound sales calls, the consultant might also have to handle inquiries on basic wireless technical issues. Universal Customer Service Representative Bilingual: This customer service position involves handling inbound and outbound phone calls from customers. This employee needs to answer inquiries about the products and services of the company. He must have good communication skills and must speak two languages. Also, he must have knowledge in sales so he can offer the products of the company that best suits the callers’ needs. If you wish to apply for a job at U.S. Cellular, be prepared to submit your resume either online or in person. You will then be scheduled for an interview. Interested applicants may apply by visiting the official website of the company. You can also apply by submitting your resume and application letter to the nearest store. If you wish to fill up the online application form, make sure that you answer all items. Do not leave unanswered questions because the system may reject it. Meanwhile, if you wish to submit your resume to the store, see to it that the information you provide is accurate. Indicate your personal data, education, and work experience. After submitting your application, wait for a call from the company for your interview schedule. Make sure that you dress appropriately for your interview. Be ready to answer questions about your experience and how you can contribute to the company. The company believes in integrity, trust, and respect. They nurture employees and encourage them to give their best. The value of open communication in building lasting relationships is taught to each member of their workforce. Also, the company now has an Associate Matching Program to encourage employees to give to charities and communities. In this program, the company matches each employee’s donation to any 501 (c)3 non-profit organization. U.S. Cellular is known for being one of the biggest wireless service carriers in the United States. They offer individual and business wireless plans. They likewise sell smartphones and accessories that suit the needs of the customers. The company supports the K-12 STEM education program as part of its corporate social responsibility. It partners with the Boys & Girls Club of America to prepare students to make an impact in their schools and in the society. 1 How old do you have to be to work at U.S. Cellular?